For those of your just joining us, this is the second part of a two-part blog post addressing how public relations connects you to your target audience. 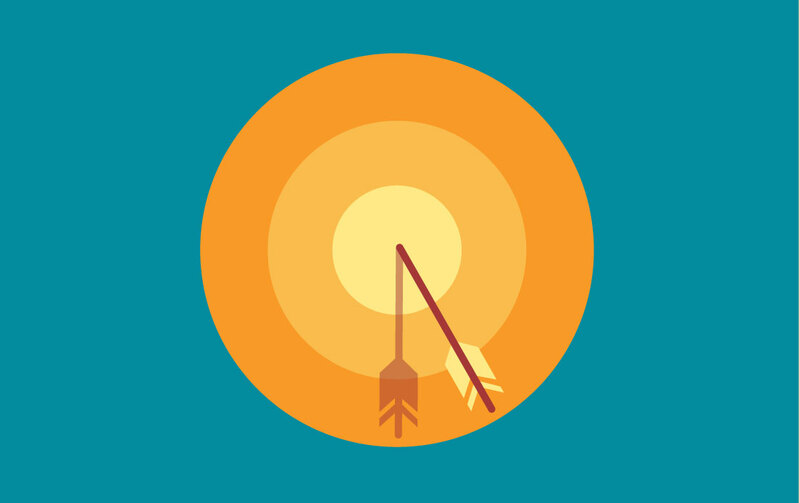 In part one, we discussed how to identify your company goals and your target audience. We also talked about establishing a communications plan that will achieve immediate and long-term goals. You can read the entire post here and we suggest you do; it is chock full of insider tips, including key questions you should ask when identifying your target audience. Now, on to part two! You’ve made the decision to invest in a communications team to further your business. You took the time to identify your audience, determine achievable goals, and align on a communications strategy with your internal personnel and external communications team. Bravo! Now, it is time for your communications team to execute your strategy. While there are many public relations firms to choose from depending on size, location, specialization and budget, today’s top pr firms will know a progressive public relations plan connects you with your audience through four main media types: earned media, shared media, paid media, and owned media. This methodology is often referred to as the PESO model. While we by no means developed the PESO model, it is our go-to for actionable, measurable communications plans. In today’s digital landscape, one mode of communication cannot be relied on to get your message out there. Further, we need to be accountable for our actions and provide results. Gone are the days of advertising equivalencies and impressions as go-to PR metrics. The PESO model gives public relations firms and their clients much more to work with and report on. Truthfully, we can go on and on about metrics and measurement, but we need to return to how PR connects you to your target audience. Now, back to paid, earned, owned and shared media. In short, all of these media types, when merged correctly, connect you with your audience, building awareness, trust, and authority. This is what most people know as PR or media relations. It’s securing editorial coverage for your clients, be it online or in a physical copy of a newspaper or magazine. On-air television news segments and radio interviews are also traditional examples of earned media. Your communications team should execute a multi-faceted PR strategy that includes securing placements in all of these forms to amplify your overall campaign goal. First, it supports brand awareness. Second, it provides much needed authoritative inbound links from news sites and blogs. This supports audience acquisition. You are in fact attracting your target demographic from pre-identified media outlets and bringing them to your site. From a digital standpoint, it is also beneficial to your online presence. Authoritative, inbound links from media support your domain authority and how your website ranks in online searches. This is a necessary component in any communications plan. This means you must be on social media. Again, this comes down to a question of audience. What platforms does your audience populate? Do they love Instagram or do they look for B2B content and professionals on LinkedIn? Either way, as our industry continues to shift to accommodate our mobile lifestyles, it is more important than ever to connect with your target audience socially. Your communications plan should have a protocol in place that shares company accolades, secured press, and special offerings with your audience. The goal should be engagement and referral traffic back to your website. We recommend clearly defining your social strategy by developing an editorial calendar. This allows you to map out content ideas, messaging, and strategic links back to your site. In a communications plan, paid media can refer to a few main initiatives: social media advertising, sponsored influencer partnerships and brand ambassador programs. Through tactful paid media strategies, your PR team will be able to increase brand awareness, generate leads, and bolster fan acquisition. Like with anything in PR it all comes down to goals. For example, influencer partnerships can support revenue-generating strategies. Brand ambassadors can create the much-needed endorsements so many brands covet. And social media advertising campaigns on platforms like Facebook can drive traffic to key pieces of content, sell product, and collect customer information. Owned media is essential to achieving objectives outlined in an overall public relations campaign because of its ability to reach, engage, inform, and create actionable outcomes. Through crafting informative pieces of content such as tip-sheets, blogs, downloadable guides, and videos, your company is able to further position itself as a leader in its industry and build the trust required to be the company, brand, or service of choice. Owned content is created and hosted by you. It can be shared on your social channels, included in paid strategies, and used to attract leads to your website. Through communicating via earned, shared, paid, and owned media your public relations team will be able to connect you with your target audience. They will help drive sales and brand awareness, while building trust and authority. When authority is established, you will notice your thought leadership is sought-after and respected by your target audience, your peers and competitors, and, in some instances, even the first page of Google. Interested in building a progressive public relations plan? Connect with our communications team today.